Stephanie Jones’ childhood resonated with the sound of music from a very young age. She played many instruments, beginning first with the piano, and progressing to the violin, viola, saxophone and flute. However, it was the guitar with its captivating range of sounds and great versatility that especially appealed to her, and it quickly became her first love. Stephanie is currently in Germany studying a Masters in Classical Guitar Performance with Thomas Müller-Pering at the prestigious University of Music Franz Liszt. In 2014, Stephanie graduated from the Australian National University with First Class Honours. Over the previous four years, Stephanie was studying with the renowned Timothy Kain and Minh Le Hoang. Following this, she was awarded a Friends of the School of Music Transition Scholarship to assist her in a series of projects following her graduation. Stephanie underwent a successful Australian-Wide Tour which helped launch her new CD “Colours of Spain.” She was also awarded the Clifford Hocking Scholarship as part of the Mount Beauty Music Festival, and nominated for the Freedman Fellowship through The Music Trust. In 2015, Stephanie was awarded an Australian Music Foundation Scholarship, which included a performance at Wigmore Hall in London. 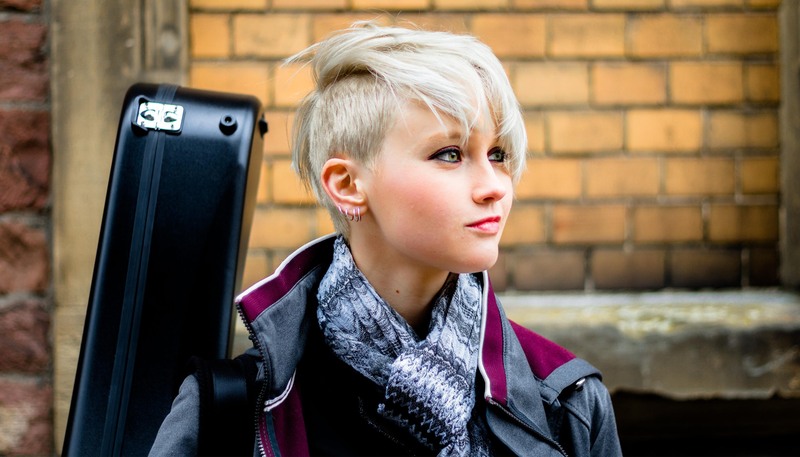 Stephanie has performed extensively around the globe, including two Australian tours, a New Zealand tour, and with the Weimar Guitar Quartet, a Germany tour. In 2014, through the Fine Music Network National Competition, Stephanie was awarded the Young Virtuoso of the Year. In 2012, Stephanie competed in the prestigious Adelaide International Classical Guitar Competition and subsequently won second prize. Stephanie has also completed her Diploma exam for the Associate Board of the Royal Schools of Music, her AMEB AMusA exam and LMusA Exam. She was then selected as winner of the “JB Vincent Memorial Award for Best Eligible LMusA Candidate in 2012”. In 2010, Stephanie was awarded the Royal Schools Anniversary Scholarship and the Harmony Endowment Undergraduate Scholarship to study at the ANU. Furthermore, in 2013, Stephanie was presented with a John Wallis Scholarship on behalf of the Canberra/Versailles Association, and the Friends of the School of Music Travel Grant to study with exceptional teachers and perform throughout Spain and France. Stephanie has released two albums, “Colours of Spain” (2015), and “Bach, the Fly, and the Microphone” (2009).